I was born under the water sign, Aquarius. Maybe that explains my life long attraction to the water and boats. Or maybe it has to do with genetics. 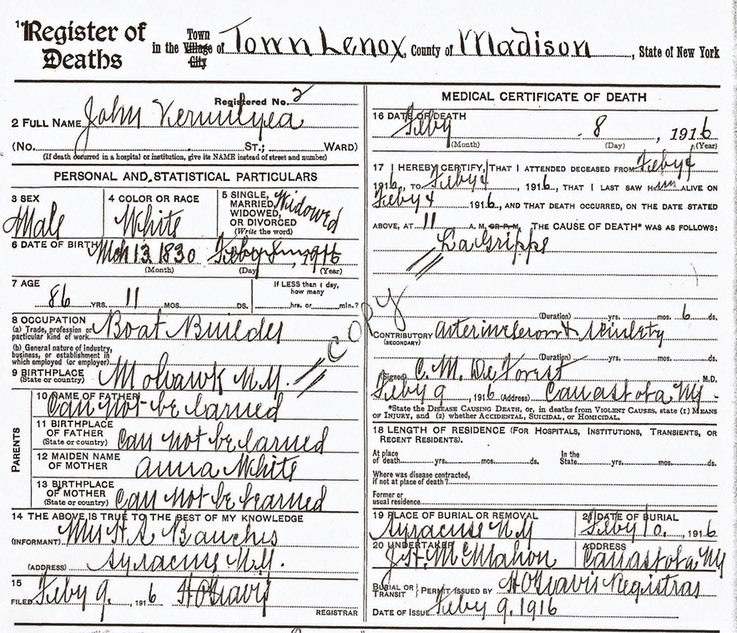 It turns out that my maternal grandmother’s grandfather, John Vermilyea, my great, great grandfather, was a boat builder who, among other things, built barges for the Erie Canal. 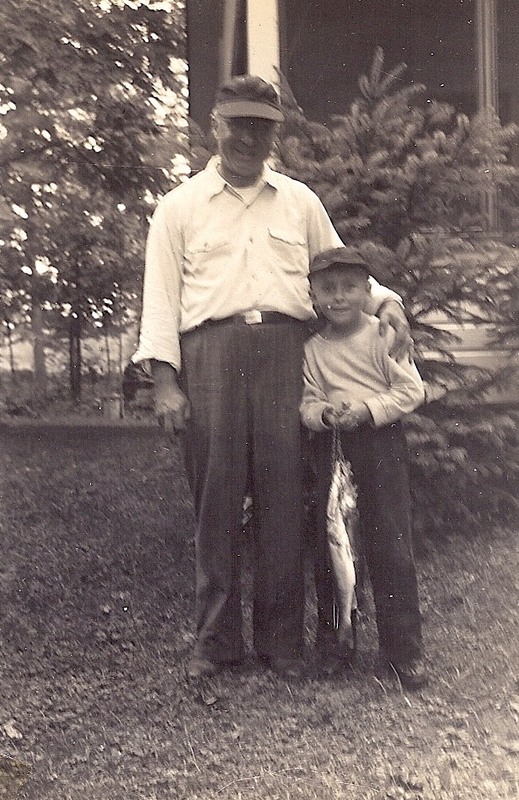 He had a place on Oneida Lake, the same lake where I spent summers until I left home. 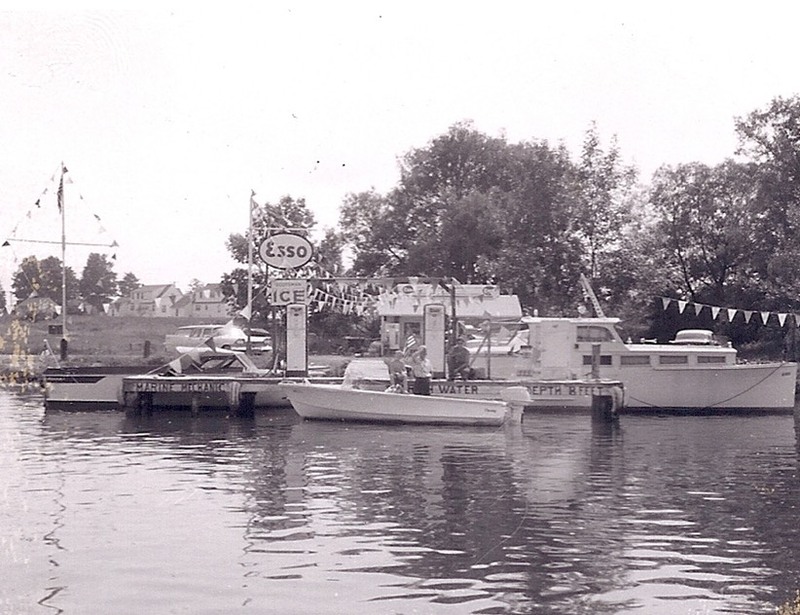 My grandfathers and uncles all had boats and cottages on lakes and rivers, and for a short time my Dad owned a retail boat business and marina (See video below). 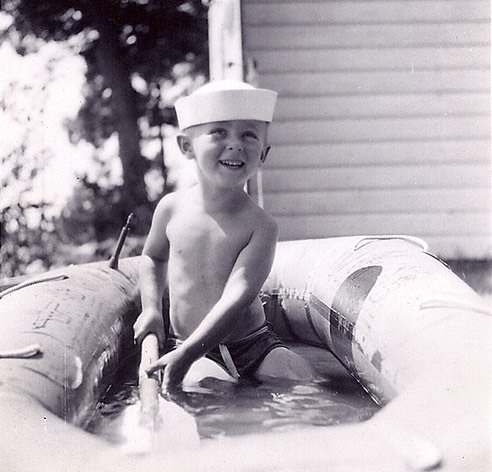 Some of my earliest memories are of “messing around in boats”. I had toy boats from an early age and when I didn’t, I made pretend boats. I remember (or perhaps I was told) about piling all my toys in our kitchen where my mom was trying to work. I sat in the middle of the pile and said I was in my boat. Mom told me to pick up my mess. Of course, I refused to destroy my creation. So she packed it all up in a basket and put it in the attic. They were still there when I was in my twenties. My first real boat was a German air force inflatable rubber life raft that Dad sent back from Germany after the war. First we filled it with water and used it as a play pool in the backyard of my Grandfather Ash’s grocery store, where we lived in the apartment above. This was before before play pools had even been invented I think. 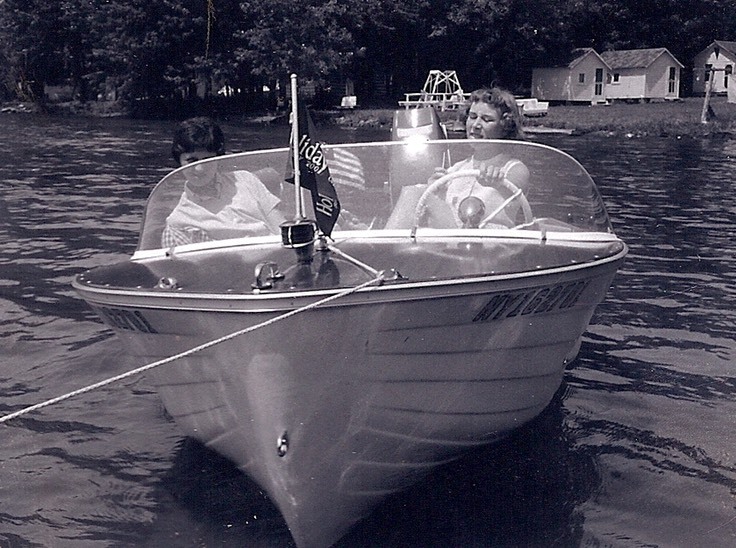 Then it became my floating toy at my Grandpa Yackel’s camp on Oneida Lake. 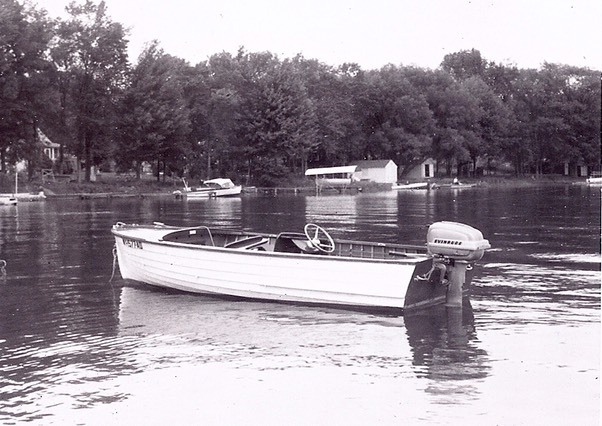 Grandpa Yackel had a succession of boats, mostly Lymans, each one bigger than the last. His neighbors at the lake, the Montagues , a British family, had this wonderful big boathouse full of boats that seldom saw the water. I loved the smells of oiled wood, varnish and motor oil in that old place. 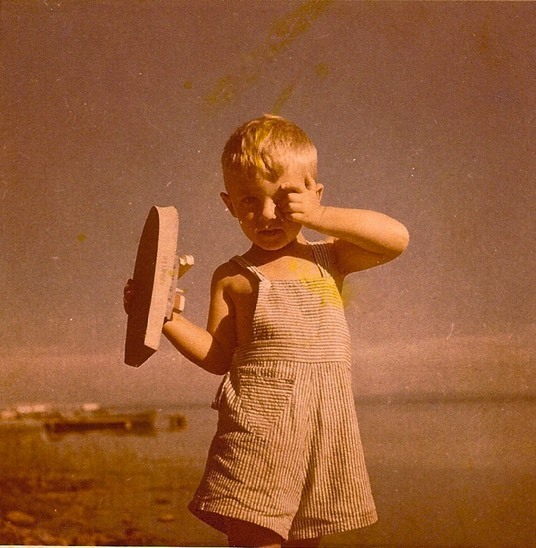 There was a big wooden inboard runabout that was cradled on a marine railway. The railway would send it, infrequently, through big swinging doors at the end of the boathouse into the water below. 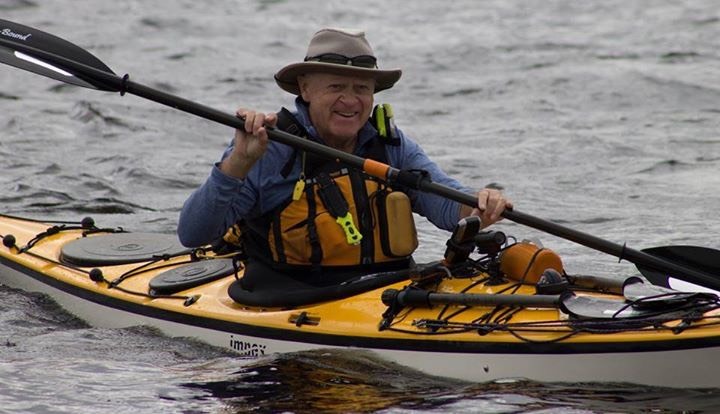 There was a wooden, canvass covered canoe, a Klepper folding kayak, and a sailboat. Or maybe the Klepper also served as the sailboat too. I’m not sure anymore. The Klepper was the only one of those boats I ever got to ride in. All in all that boathouse was a wonderful place for a kid to explore until discovered and sent home. 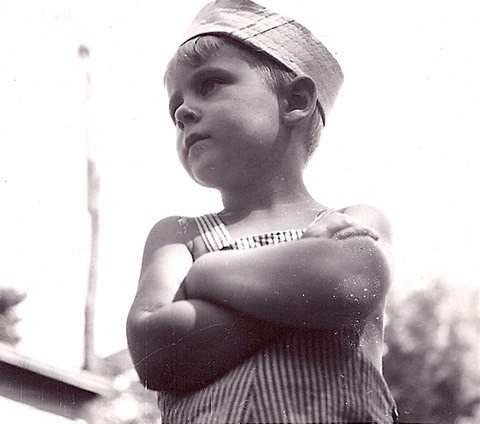 When I was six, grandpa’s camp burned down. So he, my dad and uncles built a new one on Daken Bay. Grandpa would pick me up at home and take me to the new camp where I’d stay for a few days. I spent my time “helping” him work at the lakeshore and would swim while he kept watch. Sometimes he’d take me fishing in the small aluminum boat he acquired after the fire. Grandpa taught me how to row in that boat. He would throw out the boat’s anchor in shallow water as a tether and let me row till I was worn out, while he worked on the shore nearby. Sometimes he, grandma and I would take sightseeing boat rides along the shore. That’s how I grew up. I loved those summers and time spent at the lake with my grandparents. When I was about eleven, dad built a family cottage just down the road from Grandpa’s place. Actually, Dad built two cottages. They were to be rental property, an investment by my Grandfather. In reality, they were a gift from my grandfather to his son and family. We lived in the one every summer and rented the other to defray expenses. My grandfather was a special man. We didn’t have a boat at that time, and I was hungry to have one. 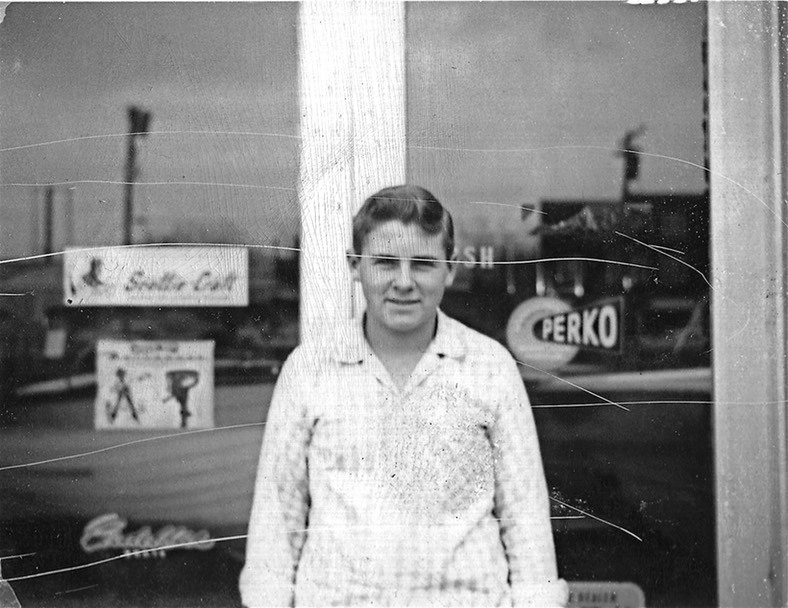 Early the next summer, Dad piled me into the family car and the two of us drove to the Montgomery-Ward Store in Fulton. (What ever happened to Montgomery-Ward?) There we bought a five horsepower Buccaneer outboard motor, some life vests, seat cushions and several pieces of fishing equipment. All of this was to go with the second hand wooden boat Dad had bought from a guy he worked with. I don’t think I had any idea of the financial stretch it was for mom and dad to buy that boat, motor and equipment. All I knew was how excited I was when Dad put me in the boat, showed me how to start it, put it in gear, and turned me loose out on the lake. I was pleased with his apparent confidence in my ability to handle this responsibility. But there was another side to it as well. On several occasions, Dad provided me with the tools I needed to follow an interest. But just as with the boat, he would turn me loose to learn on my own or from somebody else. He didn’t really spend a lot of time with me, showing me how to do some of these things. So there was a positive and negative side to this. 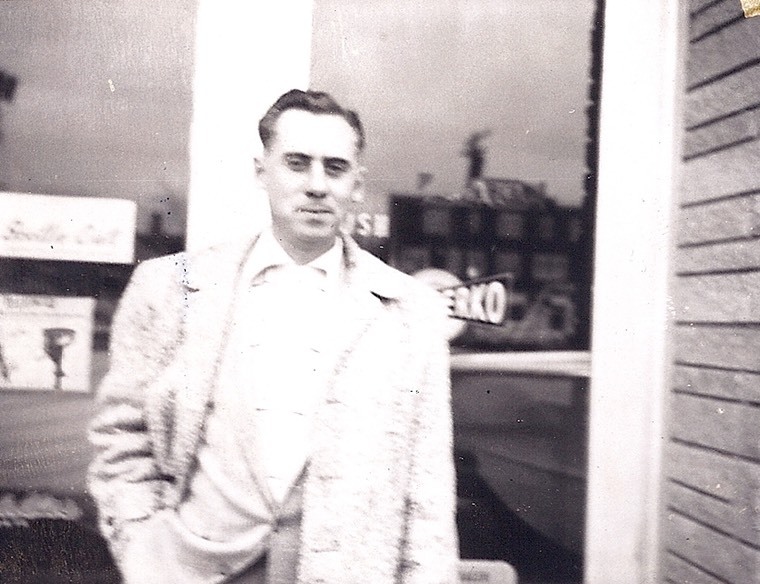 In 1955 when I was twelve years old, Dad lost his job with Wholesale Service Supply Company, a supplier of wholesale building materials to lumberyards and hardware stores. Dad had been the manager and chief salesperson in the Syracuse office of this three location (Buffalo, Syracuse and Albany) family business. The owner sent his nephew to be second in command of the Syracuse office, and after Dad had trained him, the nephew was moved into the managers spot and Dad was out. Given Dad’s later problems with alcohol, I’m not sure that’s the whole story. But it is what we were told at the time. Dad’s brothers, father and father-in-law were all businessmen with their own businesses. I guess Dad felt he wanted to be his own boss too. So he spent a few months casting about for a business to buy. He finally narrowed it down to a lumberyard and a marine store; a retailer of boats, motors and equipment. Mom begged him to take the lumberyard because he knew something about that business. But instead, he bought the marine store with loans from one brother and his father. Dad’s loans totaled $100,000.00. That doesn’t seem like so much today, but back then you could buy a nice house for ten thousand. My mom was not pleased to be in that kind of debt. I don’t know if Dad thought the boat business would be more profitable or more glamorous than the lumberyard, or if he thought a boat business might be something he could leave to me. In any case, I loved the choice. The store was called Ace Boat Works for no apparent reason. Ace was its original name and Dad kept it. I guess “Ace” put it first in the phone book. This was before the advent of personal computers and the internet, so your position in the yellow pages, which were organized alphabetically, mattered. The store was in a large building on a small piece of property in Mattydale, New York. By the time I was thirteen I was going to the store on most Saturdays to “help out”. I’m not sure how helpful I was, but I could operate a cash register and I did learn a lot. And, being relatively small, I could squeeze under the decks of small runabouts to assist with the wiring of lights and steering controls. And I began to read, something I really hadn’t done before. Dad had a subscription to a magazine called “The Boating Industry”. I devoured that monthly publication. I read the articles and reviews of new boats. And, I scanned all of the adds till I became an expert on every outboard motor being made, and most boats. It’s because of this that I became a reader, especially a reader of non-fiction. Because of Dad’s business and associated marina, I had access to many different boats over the years. I remember the day a truck pulling an ungainly boat called a Boston Whaler stopped in front of the store. Dad thought it was ugly, but I thought it was beautiful, mostly because its form was so functional. Dad got a Whaler franchise and sold a bunch of them. 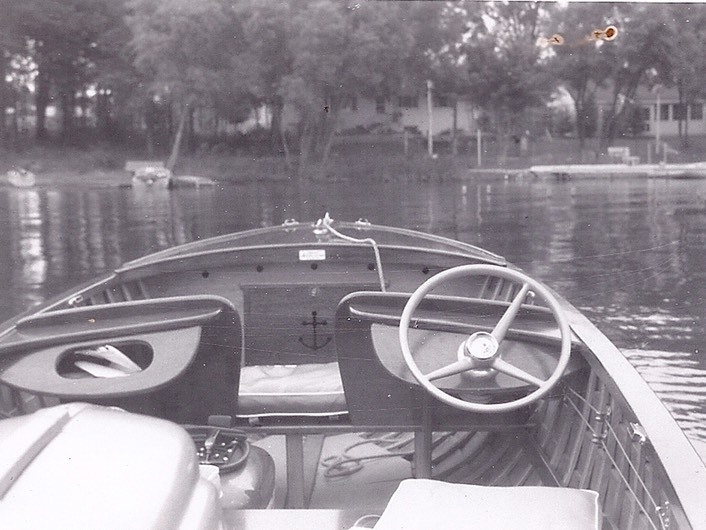 At the lake, I had moved up from my wooden boat to a fourteen foot MFG (Molded Fiberglass) runabout. It was decked, had a windshield and steering wheel, and best of all it had what seemed at the time like a really powerful engine; a twenty-five horse power Scott-Atwater outboard. I learned to water ski behind that boat and for the two summers before I started college, my lake friends and I would waterski five days a week. I went to college in 1961, enrolled the the school of Business Administration, thinking that I’d work with my dad in the family business. But that would never happen. An economic downturn and my dad’s increasing issues with alcohol doomed the business to failure. I went through a dry period as far as boating and being on the water was concerned. The tragic water skiing accident of my best friend , Fred Pomeroy, with me at the controls of the tow boat, contributed to my distancing myself from things aquatic for some years. A vacation ride on a Cape Cod schooner in 1967 changed all that. I was hooked on sailing. I went through a series of sailboats as I learned the skills needed to make a sailboat go where I wanted it to. I even built one, from plans by the naval architect Phillip C. Bolger. But my favorite was Odyssey, a Herreshoff designed nineteen foot sloop. 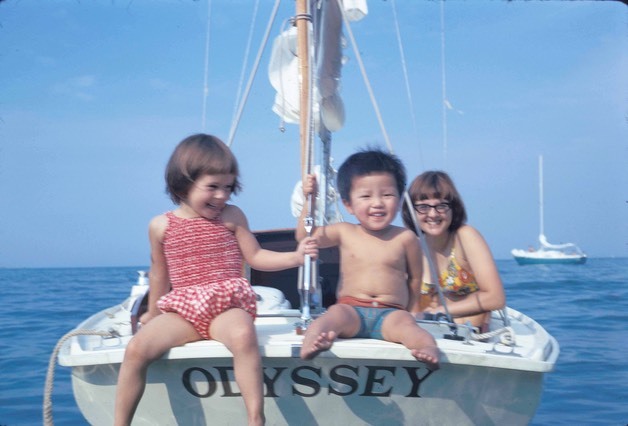 I sailed it on the big water of Lake Ontario for many years before my growing family required a different plan. I won’t go into all the details here. But I will say that I continued to sail on the big lake in one way or another until 1993 when I moved to Albany for work. The Adirondack Mountain lakes are lousy for sailing, but great for canoeing. So I made my next big switch from big boat, big water sailing to small boat, small water paddling. 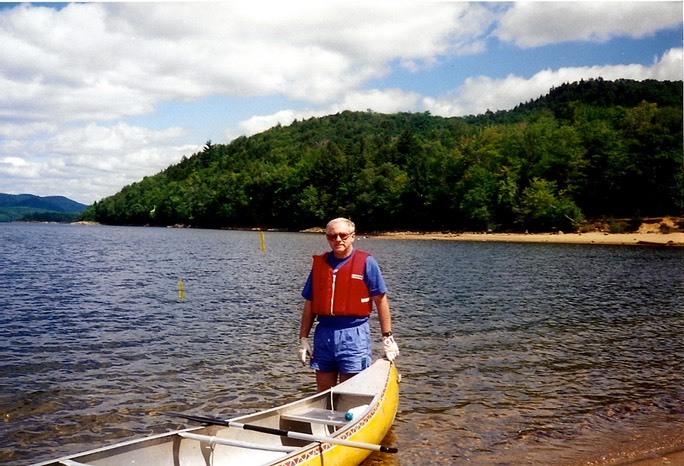 Lisa and I spent several summers canoe camping on our favorite Adirondack Mountain Lake, Indian Lake. We could camp on islands there. This really fired up my imagination. It still does. There’s something special about being on an island. A poem I read in junior high kept coming into my head; “If Once You Have Slept on an Island”. The poem seemed to say what I felt sleeping on those islands in Indian Lake. But the big Grumman canoes we paddled were like pushing barges around. The remote camping was great; the canoeing, not so much. In 1995 we took a chance, enrolling in an off shore wilderness kayaking trip off the coast of Maine. Neither of us had ever been in a kayak before, but we signed up anyway. Looking back I wonder what we were thinking. 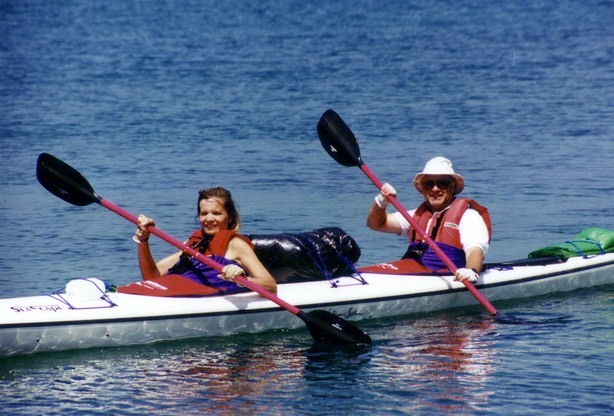 But the experience hooked us on kayaking. Kayaking is close to the water and all the things in and around it. Kayaks glide smoothly and quietly, with so much less effort than the canoes we were used to. I can paddle fifteen or twenty miles in my kayak with the same effort it took to paddle five in a canoe.